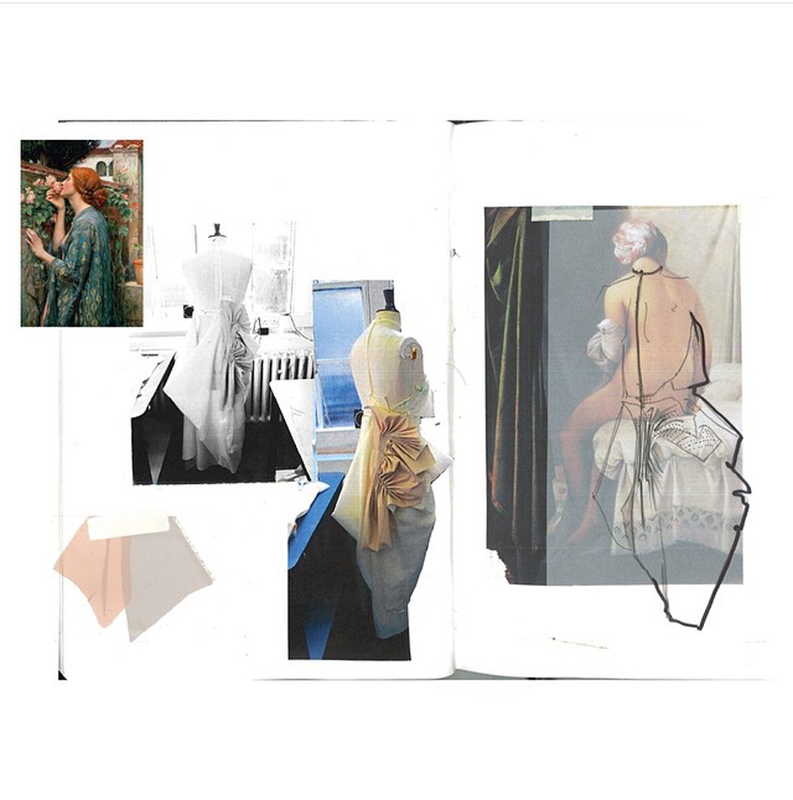 Whilst exploring the London College of Fashion BA15 showcase, I noticed that whilst the work on display is excellent, it is in fact the sketchbooks that deserve our attention. 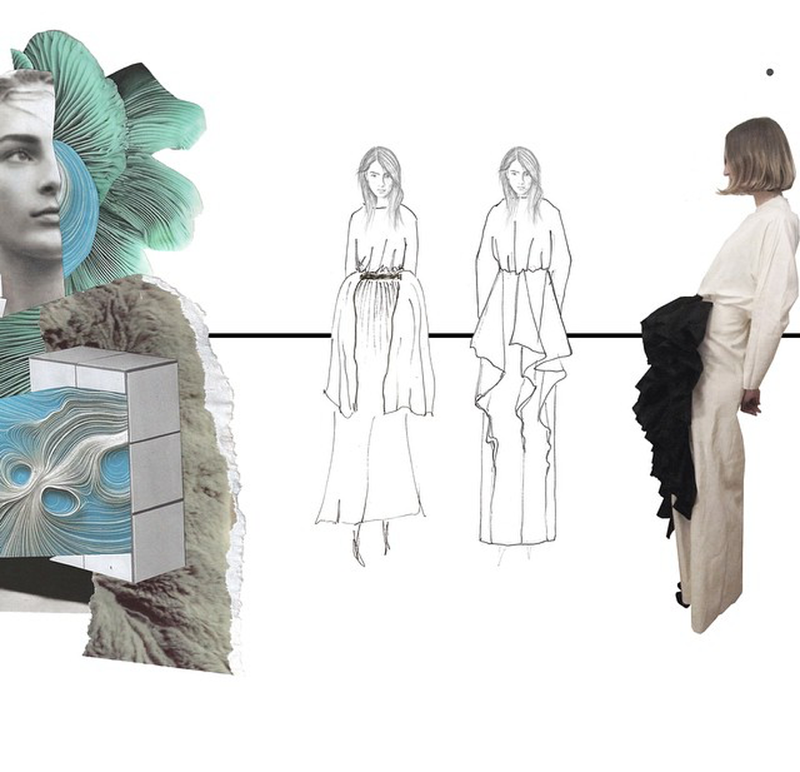 Students have worked tirelessly for the past year to create their final collections and the entire thought process has been captured within the thick white pages of their sketchbooks. Nicholas Rogers, a final year BA (Hons) Fashion Design Technology: Womenswear student exhibited a collection, featuring distressed denim, crisp white shirts and neutral drapery. His performance mixed ballet with a feeling of punk rebellion, creating a world of contrasts, His sketchbook, however, are a vision of pure beauty. Neatly annotated and layered with a collage of imagery from all different sources, the book is a work of art in itself. Laura Fisher, BA (Hons) Fashion Design Student collaborated with Embroidery student Hannah Brooks to showcase her final collection. Her dark and Gothic collection took on a textured, voluminous form as she experimented with different techniques. Her sketchbook reveals where some of her inspiration has come from through her carefully crafted collages and delicate illustrations. Rong Zhang's final collection titled 'Illusion Wars' takes us on a check revolution. Checks in their full glory are played with to create classic womenswear. 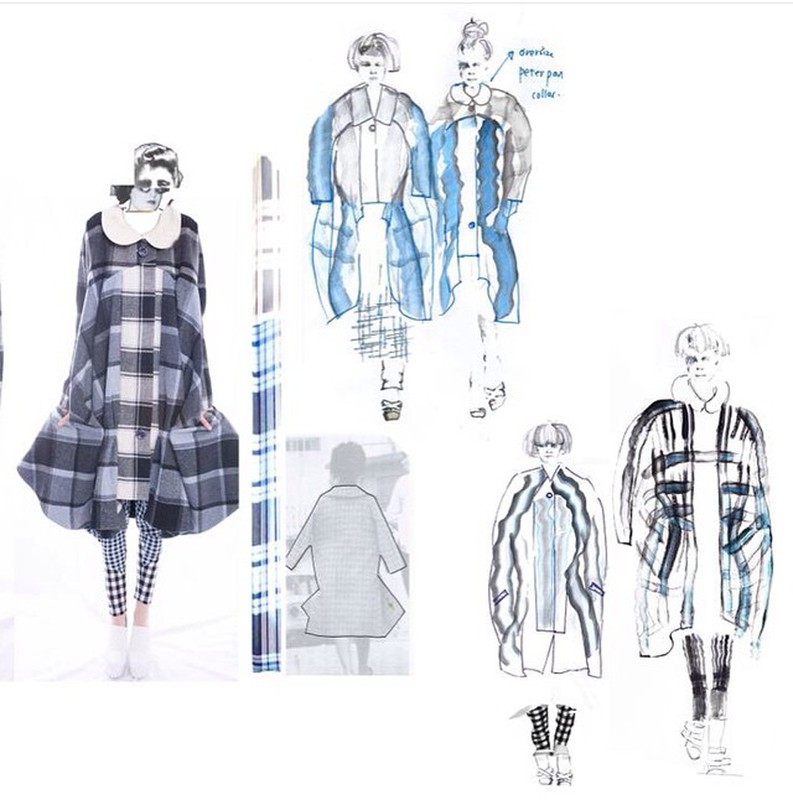 These sketchbook illustrations clearly show Zhang's design process from sketch to finished garment.